Antiques, Glass ware, Clocks, Pictures,Vintage, Collectibles, Coins, Furniture, Tools, Signs, and much more. 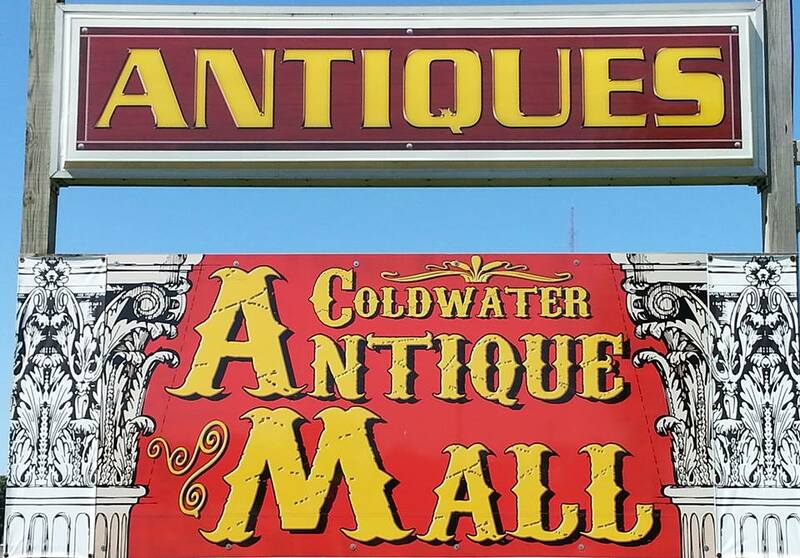 Coldwater Antique Mall is located in Coldwater Michigan just east of I69 on US12. We have over 40 booths of quality Antiques and Collectibles and a huge area full of furniture ranging from Dressers, Beds,Tables, Hutches ect. We are open 10-5 7days a week closed major holidays. We welcome travelers and have plenty of parking for RVs. Behind the Coldwater Antique Mall is Stagecoach RV & Marine Repair offering RV & Marine Repair and Storage.